Today I’d like to (for now) wrap up my comments on the so-called “Creativity Killers,” common classroom routines that stifle both students’ motivation and their creativity. 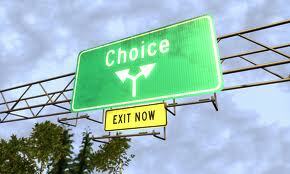 Today we consider choice—or the lack thereof—and its impact in the classroom. Collins and Amabile (1999) put it bluntly, “The best way to help people maximize their creative potential is to allow them to do something they love” (p. 305). Unfortunately, it is easy for students to go through years of schooling without ever having the opportunity to make meaningful choices about their learning. I have talked to many students about choice opportunities, asking them what they would like to learn about if they could study anything they liked. On far too many occasions, students have gazed at me as if I were from another planet. They simply could not conceive of learning anything voluntarily. Learning was something you did when it was assigned. In school, one learned what the teacher said to learn when the teacher said to learn it. Period. When students have the chance to study topics of their choice, wonderful things happen. Even young children can plan and pursue individual goals. One of my graduate students decided to let each of her kindergarten students pick one thing they would most like to investigate. They collected all the ideas, and she promised that before the school year was over, she would help each student learn more about his or her choice. Because she had two half-day kindergartens and more than 50 students, this effort took most of the school year. Projects ranged from learning how to bake a cake (they did, and the class enjoyed it) to investigating which animals run fast. Each project was photographed and recorded in a class album. Her students certainly learned much interesting content that year, but I believe the most valuable lessons were these: You may choose to learn about something you like and learn about it. Learning things you want to learn is fun! Of course students can’t always study the topics of their choice, but they can experience choice in a wide range of school activities. If we want students to engage with content, one of the most powerful strategies we can employ is choice. Students may have choices about the content they study, the ways they learn the content, or the ways they demonstrate their learning. Choices may be implemented through homework menus, choice boards (tic tac toe boards), tiered instruction or any of a number of strategies used to differentiate instruction. It is impossible to describe all of the possibilities here today (though do check out some of the options in the links above), but it is important to note the double-benefits such tasks produce. Differentiated instruction that entails options provides both 1) opportunities for increased learning by targeting instruction to the appropriate level and 2) increased intrinsic motivation through choice. And as if that weren’t enough, it provides the kind classroom atmosphere necessary for increased creativity as well. What more could we ask? Collins, M.A., & Amabile, T.M. (1999). Motivation and creativity. In R. J. Sternberg (Ed. ), Handbook of creativity (pp.297–312). New York: Cambridge University Press. Brilliant observation! And so unbelievably, unfortunately true. Thanks. If you try some–or come up with a new idea–I’d love to hear about it. « My Fake Wall: Who’s on Facebook Now?